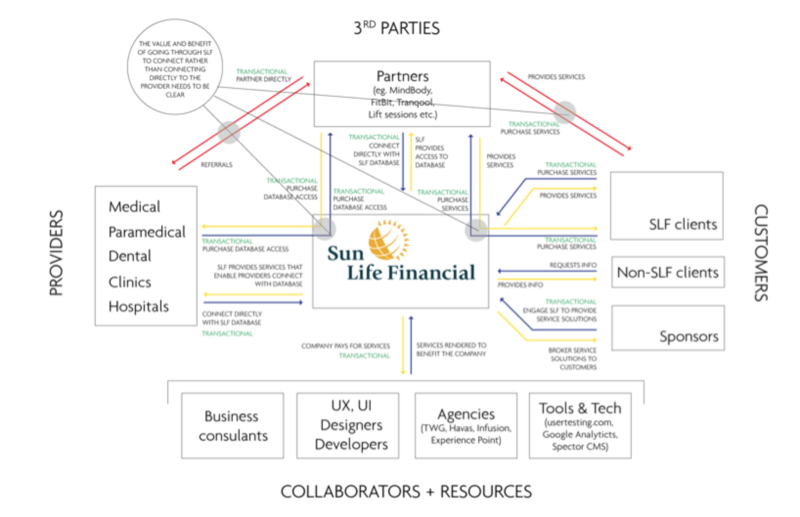 I had the opportunity to join Sun Life Financial’s Digital Customer Experience team under Global Digital Marketing for a 6 month contract. I was brought in to help define the user and customer experience for new offerings relating to health on digital properties. I provided insightful high-level UX thought leadership and consulted with various stakeholders and businesses. My contract was extended another 6 weeks where I was asked to further the team’s understanding of upcoming initiatives by bringing in some strategic foresight techniques. 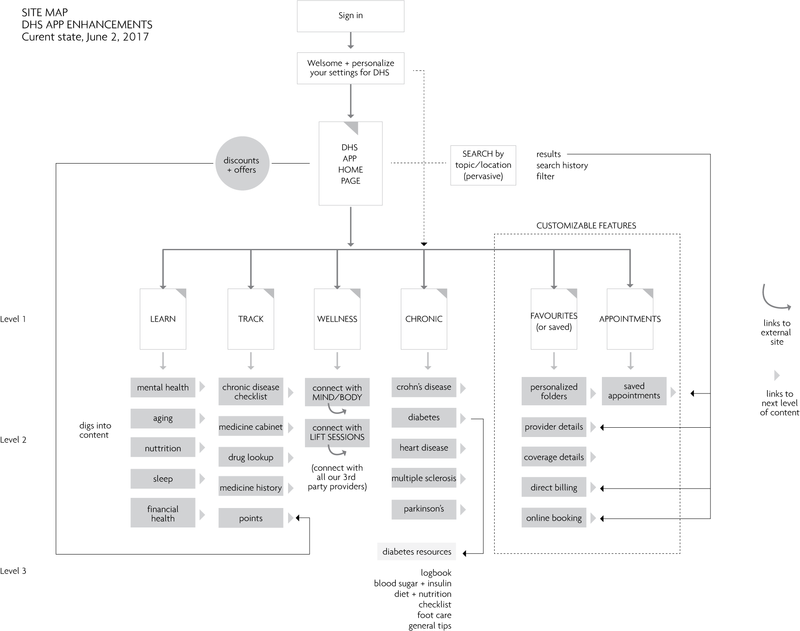 Site maps: Simply making a site map helps orient the team establishes a basic understanding and creates a common starting place. Mapping all the digital properties current and future state helps uncover inconsistencies and opportunities for improvement. 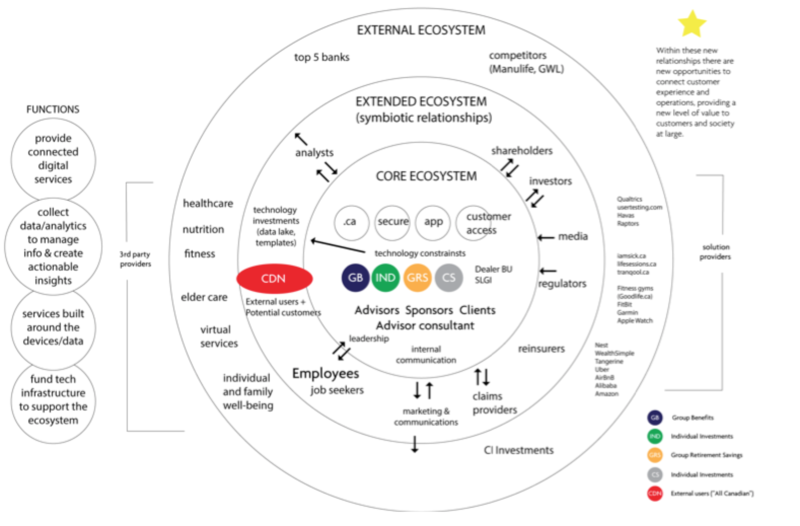 Ecosystem or bulls-eye diagram – to gain an understanding of the levels of influence around a system. Ecosystem clusters – to show relationships, cluster connections and document affinity. 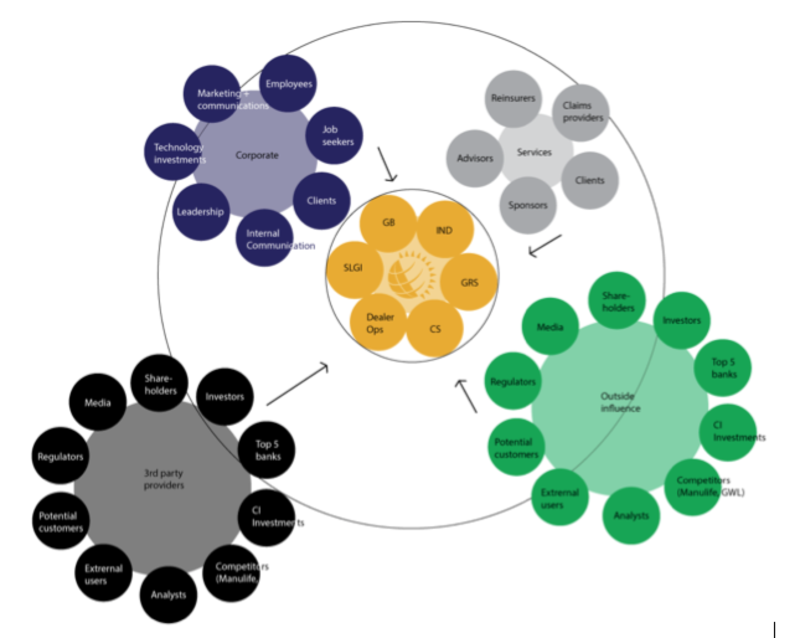 Sensemaking – there are countless ways to make sense of data. This is one example of making sense of a card sorting exercise that we had both anonymous users and leadership perform. We looked for common understanding of terms and confusion over meaning and clustered the outputs to help make sense of how the new navigation might work. 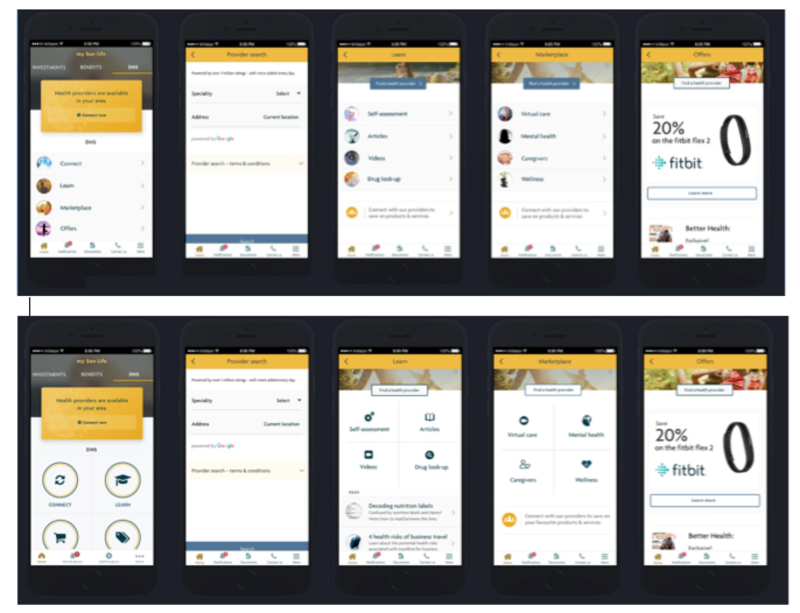 List vs. tiles – in order to test contradicting internal opinions on the UI and the prototype functionality we sought feedback from unbiased users. Taking the time to do this early and often is critical.